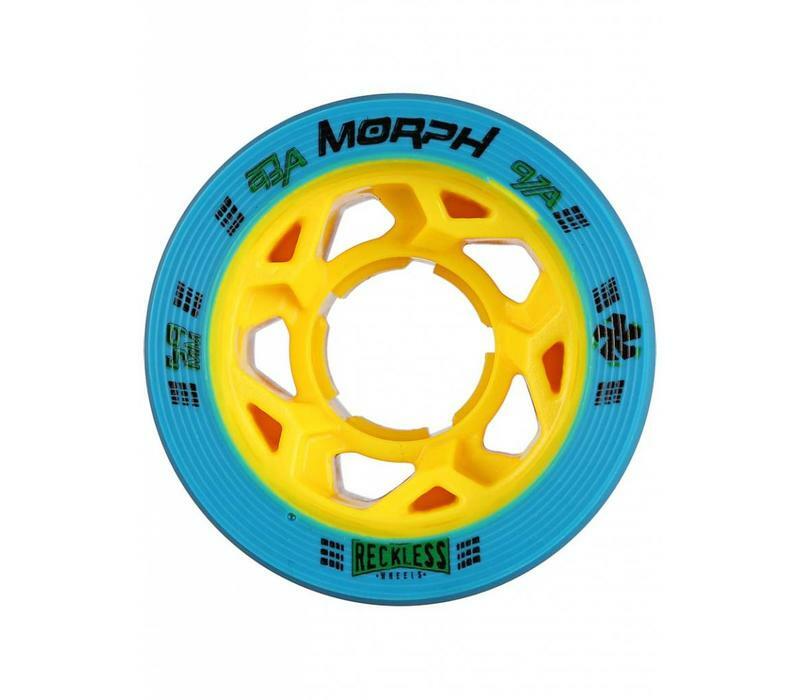 The Morph is a revolutionary wheel, wrapping 2 different hardnesses around one stiff core - a harder composition, with a soft one at the outer edge of the wheel. 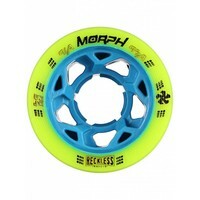 It will give you speed, but also traction on the edges when you're digging into the floor. 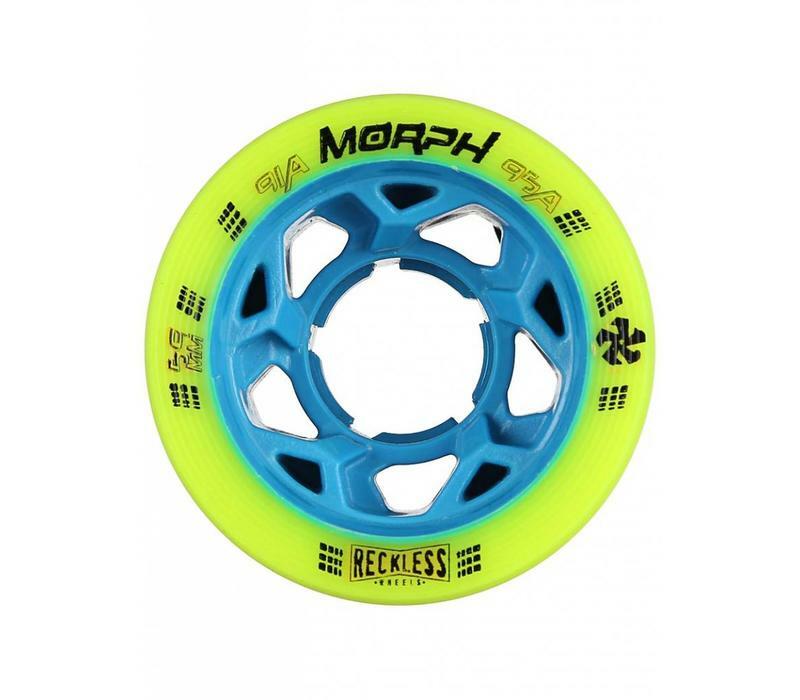 The Morph is a revolutionary wheel, wrapping 2 different hardnesses around one stiff core - a harder composition, with a soft one at the outer edge of the wheel. 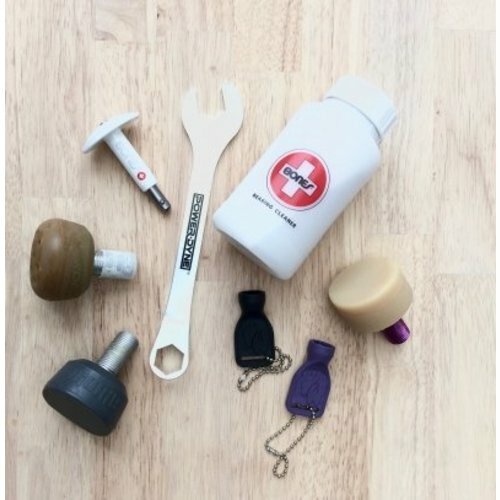 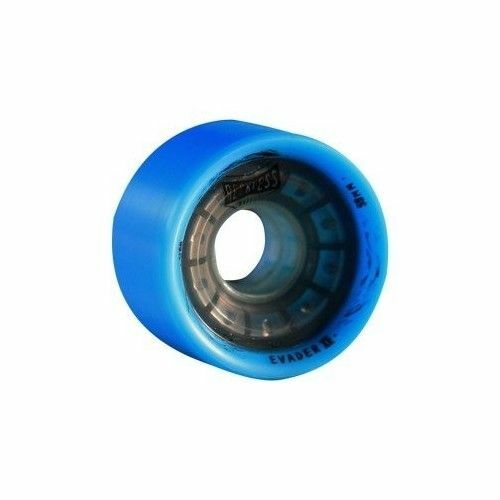 Having the two urethane blends on each wheel, will give you speed, but also traction on the edges when you're digging into the floor for stops, edgework (cutting, plowing, juking...). Maximum control, speed, precision and grip. 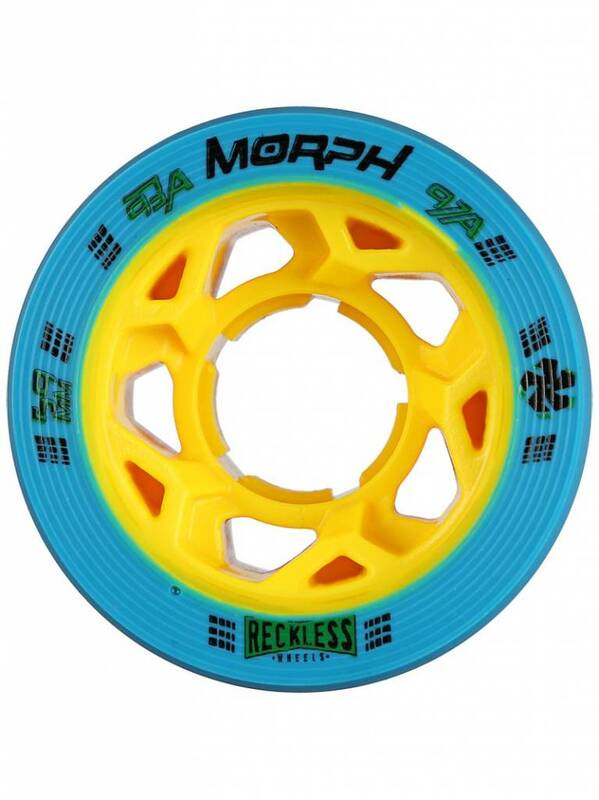 The “stacked” technology gives you the best of both worlds without the hassle of constantly changing wheels. 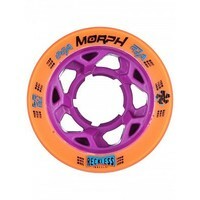 The Morph is a revolutionary wheel, wrapping 2 different hardnesses around one stiff core - a harder composition, with a soft one at the outer edge of the wheel. 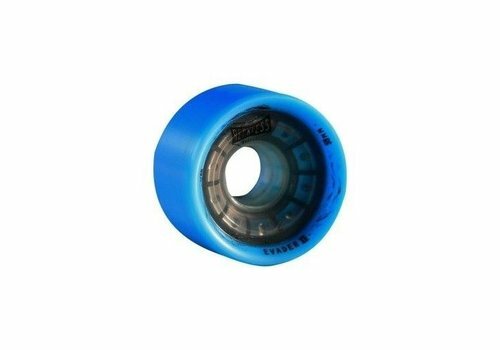 Having the two urethane blends on each wheel, will give you speed, but also traction on the edges when you're digging into the floor for stops, edgework (cutting, plowing, juking...). 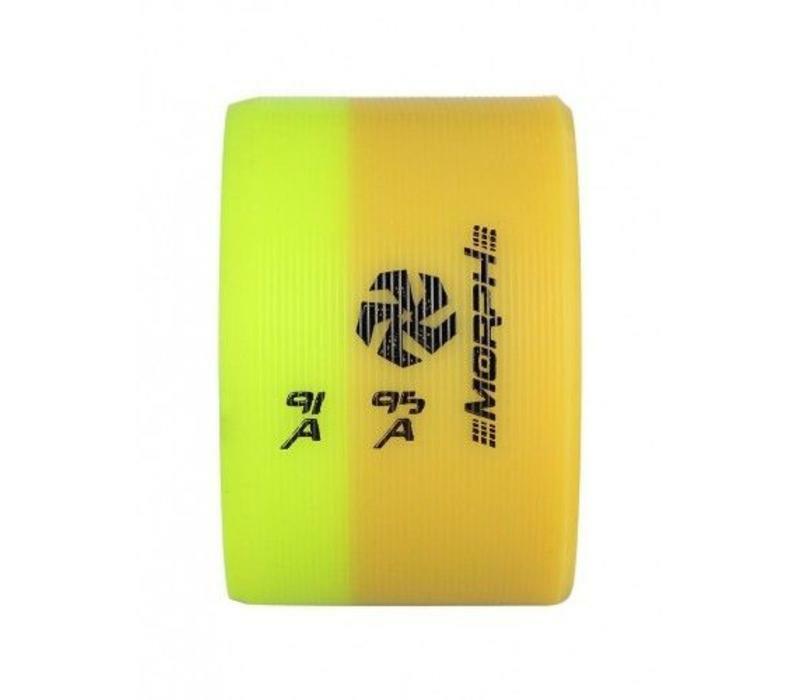 Maximum control, speed, precision and grip. 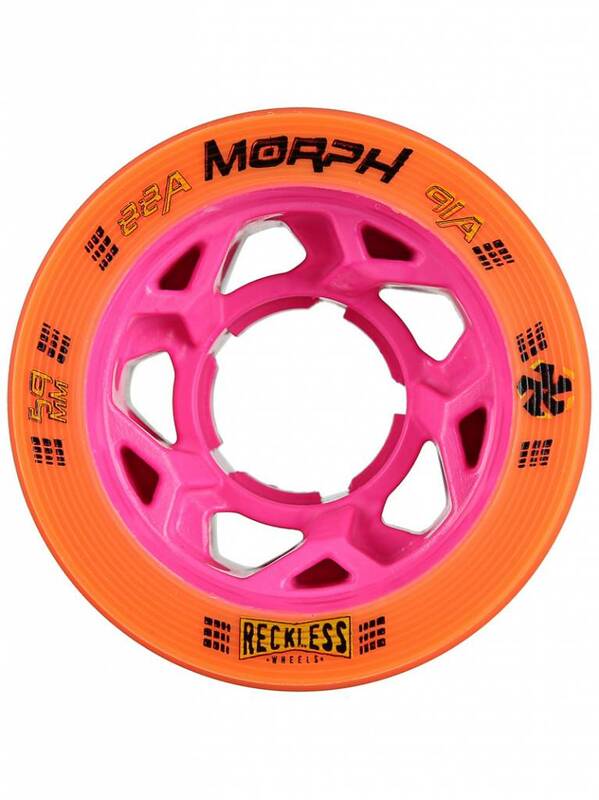 The “stacked” technology gives you the best of both worlds without the hassle of constantly changing wheels. 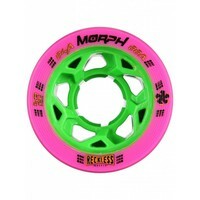 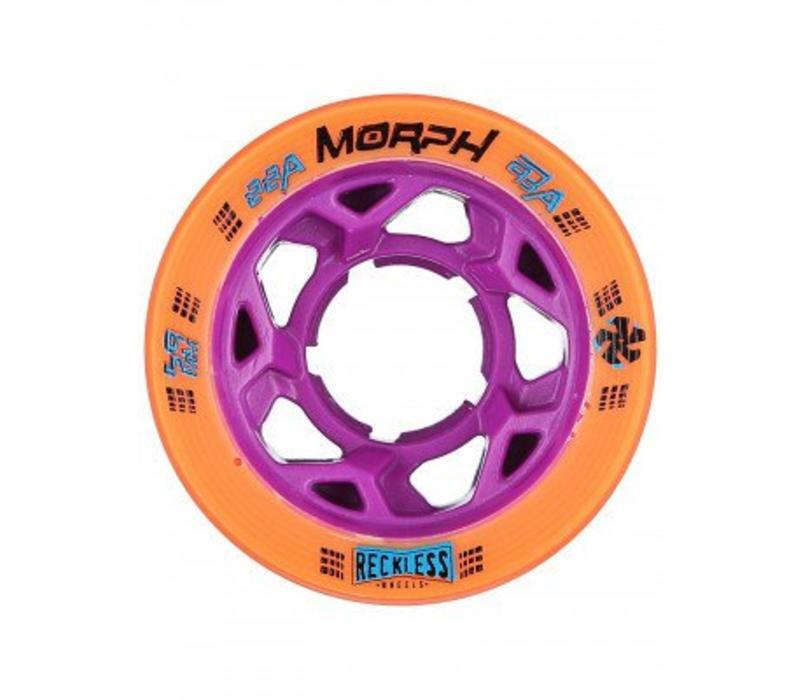 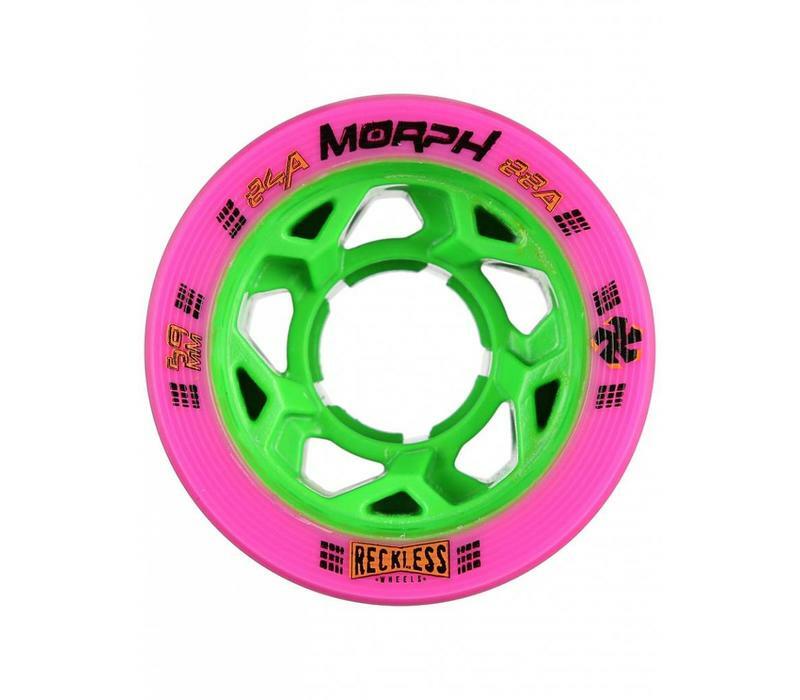 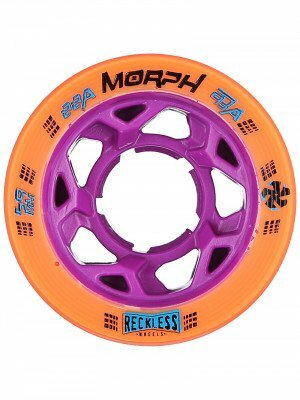 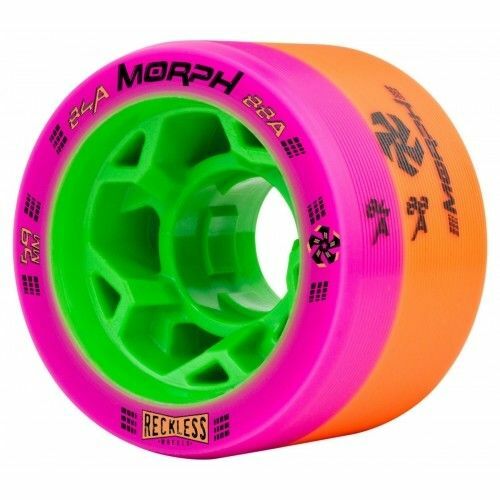 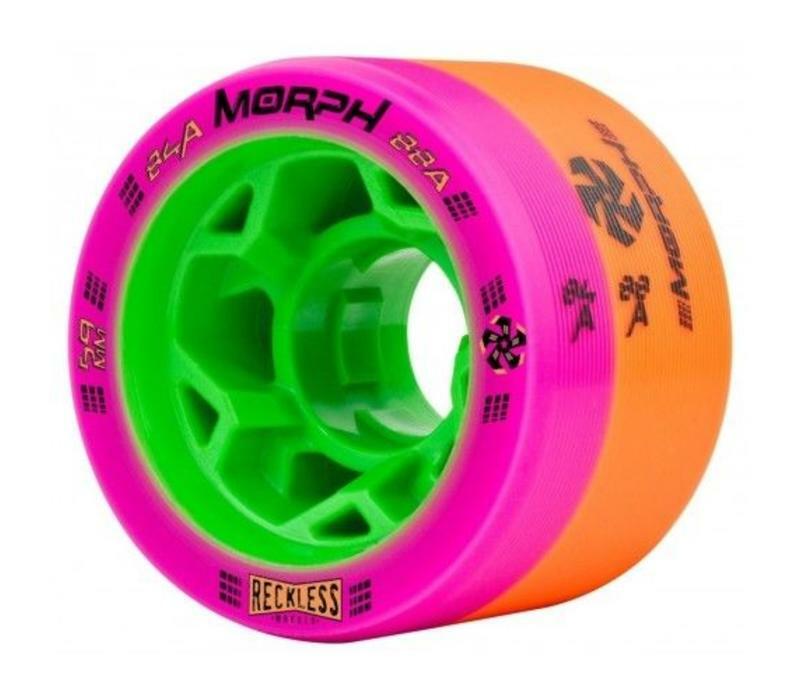 What is all this fuss about the Reckless Morph wheels? 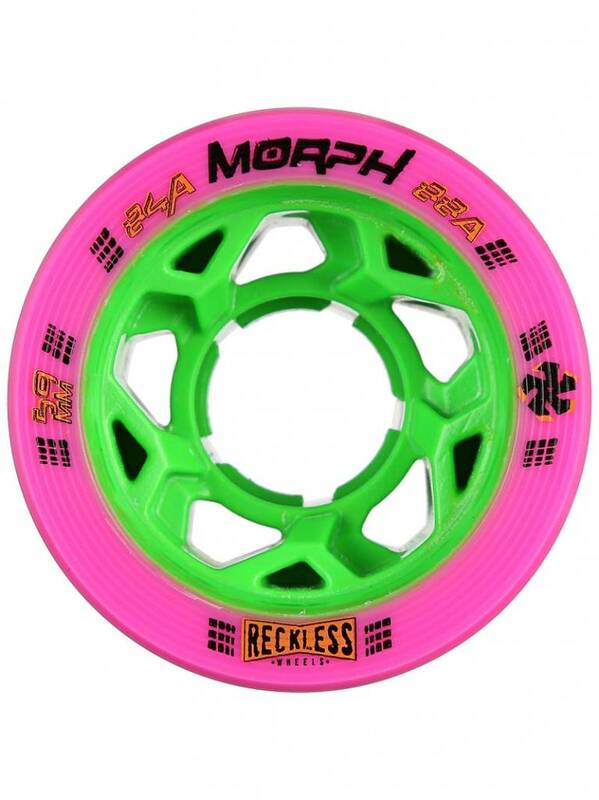 the most part of the wheel, the outer edge of the tire is softer to give you more grip when you need it. This innovative approach provides a fast roll and better edge control. 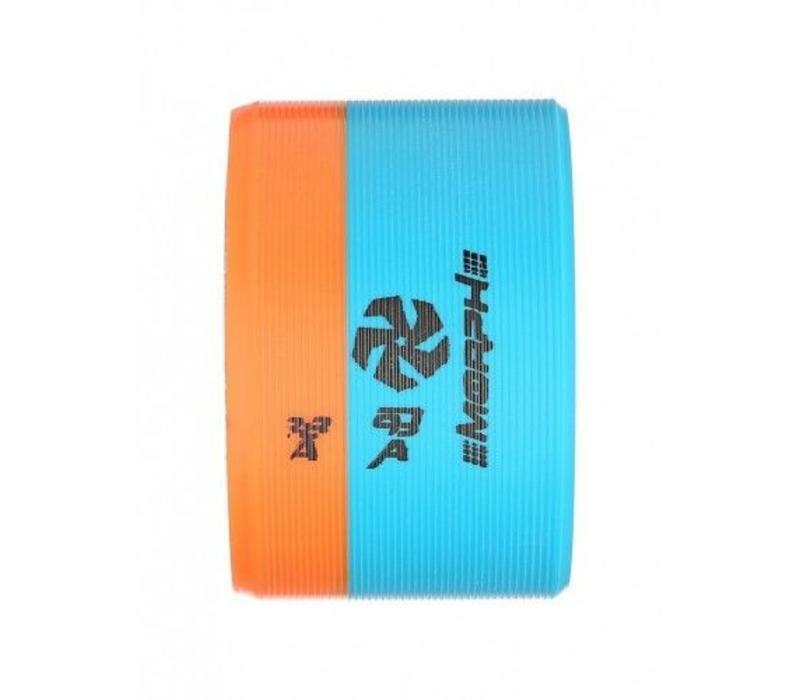 You will feel the digg into the ground when performing stops and using your edges. 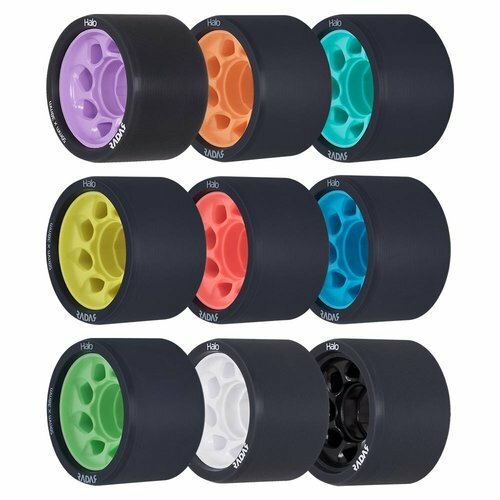 Each wheel has a split hardness, with the softer compound on the outside of the wheel. 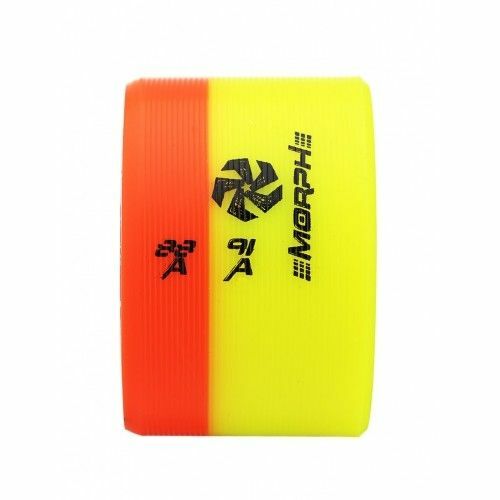 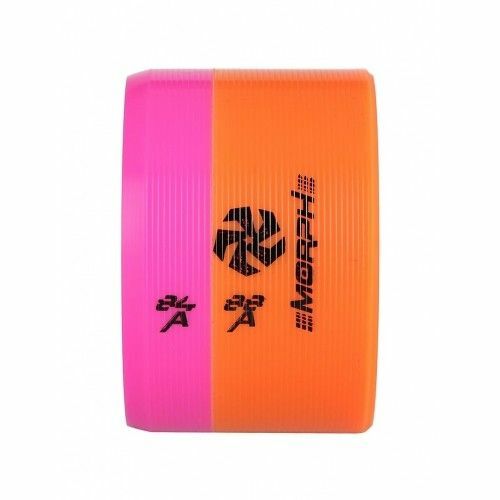 All options come in a bold and flashy color combination, so you can tell where the grip side is. 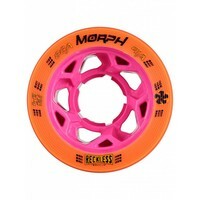 No dullness here! 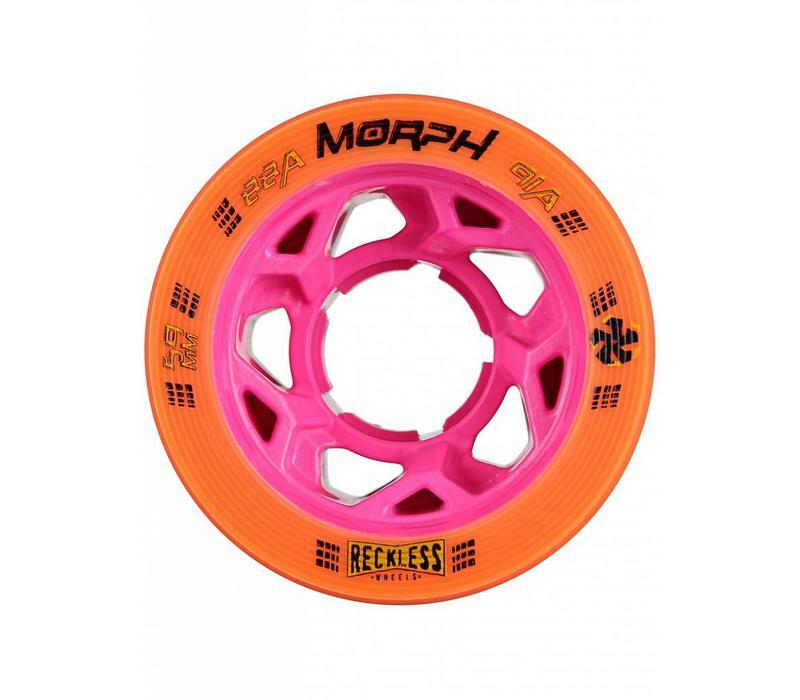 The Reckless Evader is the only 62mm by 38mm wheel that has a lip! 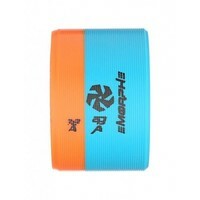 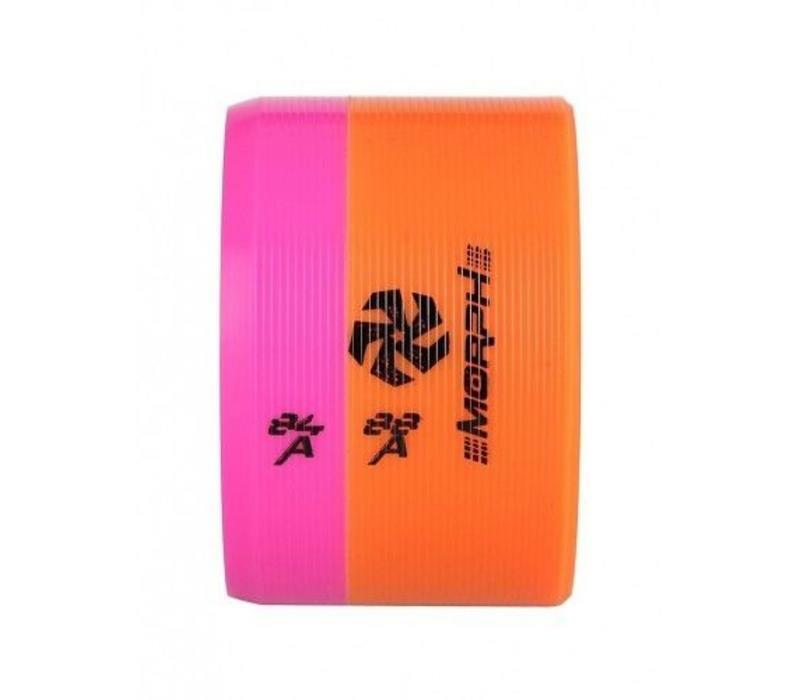 It gives you stability, grip and a snap at the end of your stride. 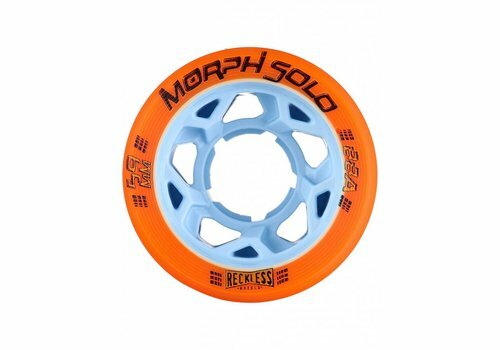 The lip makes it much easier to re-enter the pack when you're knocked out. 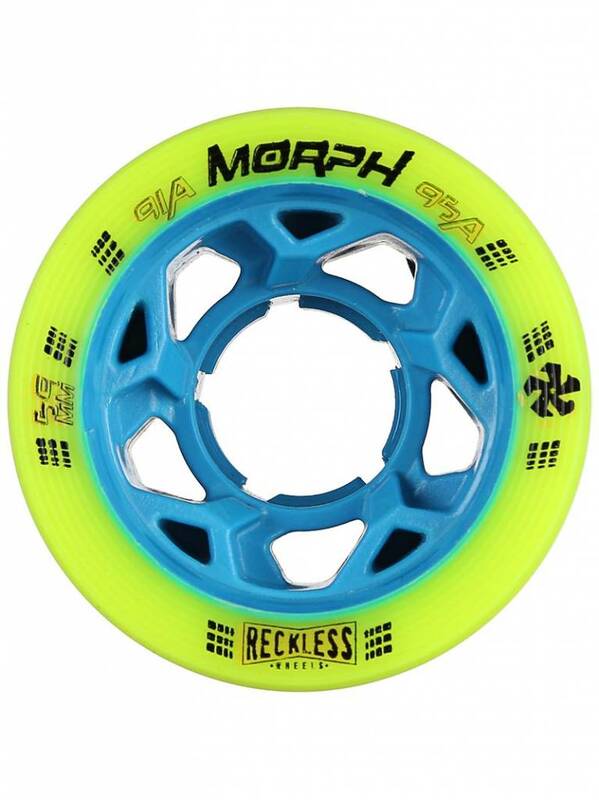 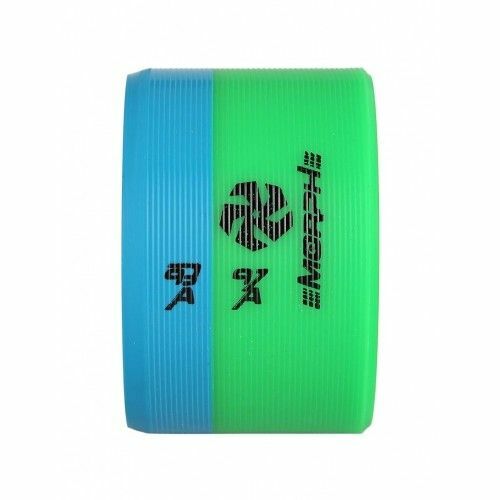 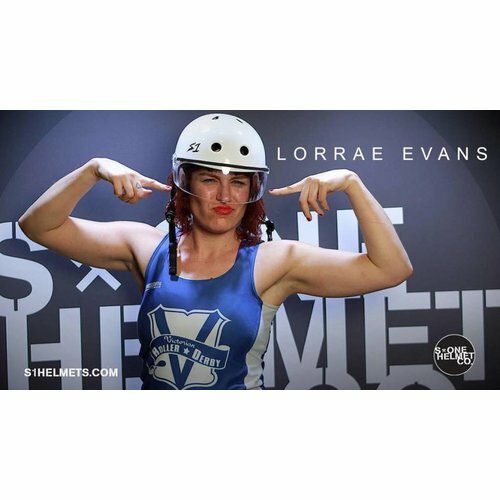 The Reckless Evader is the only 59mm by 38mm wheel that has a lip! It gives you stability, grip and a snap at the end of your stride. 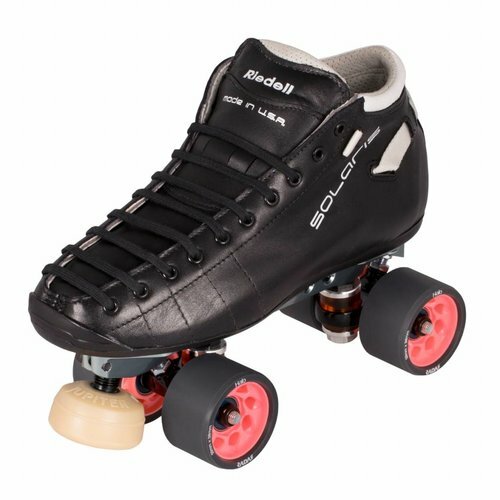 The lip makes it much easier to re-enter the pack when you're knocked out. 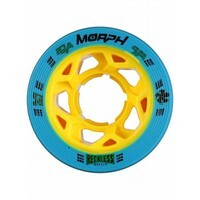 With the same quality urethane, the Morph Solo comes with a single durometer tire. 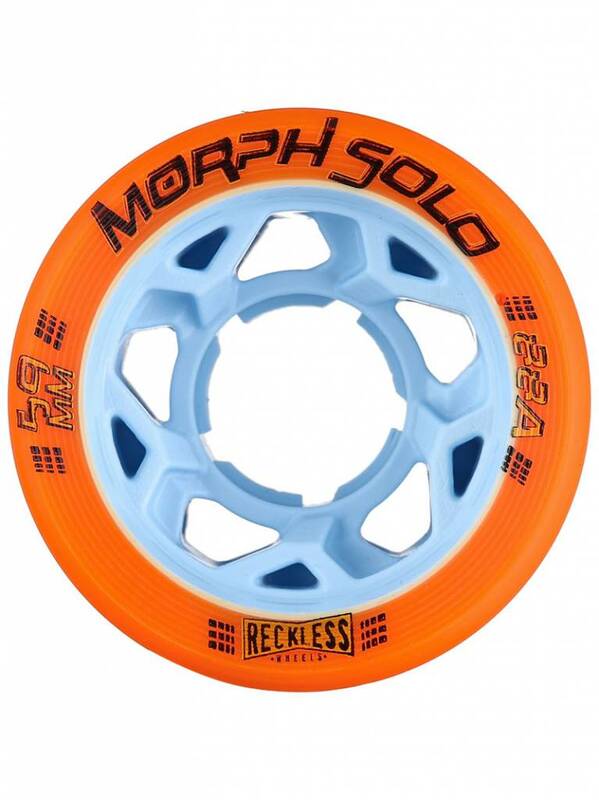 This will give you more slide and less bite or traction on the edges than the dual compound Morph wheels. 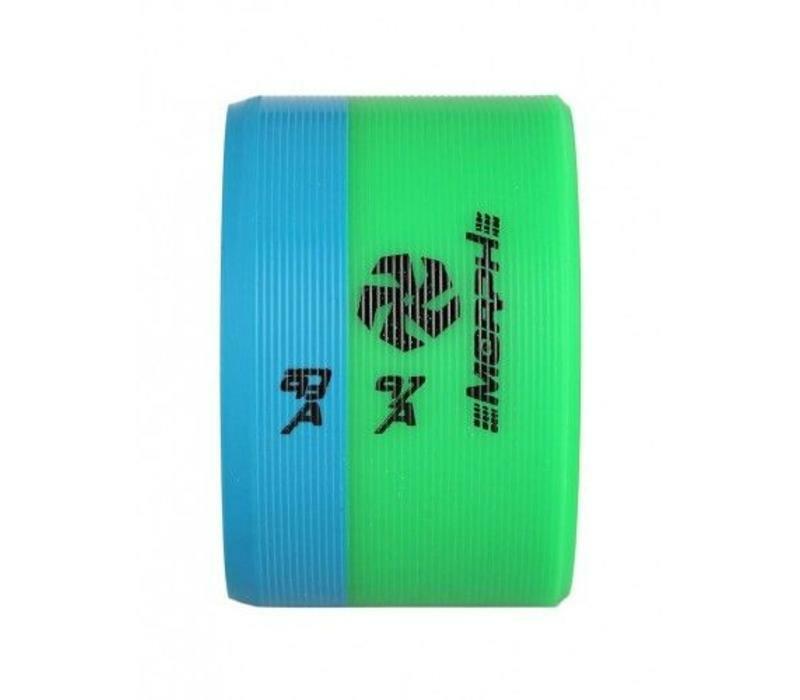 Same quality and performance, but in an oldschool version.